Our quality sharpening service is now available to customers outside the UK! Simply add the voucher to your basket (One voucher per scissor), select your delivery destination and go to checkout. 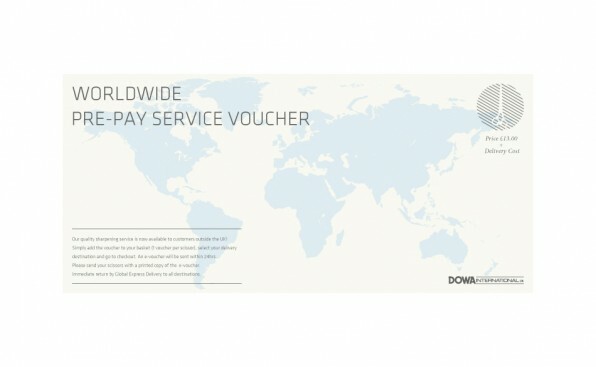 An e-voucher will be sent within 24hrs. Please send your scissors with a printed copy of the e-voucher. Immediate return by Global Express Delivery to all destinations.